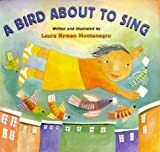 Forty-six pages of engaging illustration and thirty-four distinct, rhyme-free poems share the reluctant introduction, suspenseful separation and joyous reunion of a young boy and his surprisingly expressive new pet. Surprisingly descriptive, thought-provoking text and a cast of goofy, grinning hooligans provide a peek into a career in nautical crime as a reflective rogue ponders pillaging — its logistical details, dangers and doldrums — and grapples with issues of greed, freedom, friendship and distrust. For many of the authors we interview, their first book is a distant memory. Not so with Pamela Edwards. In March 2008 she’ll celebrate the first anniversary of the publication of her first book, Oliver Has Something to Say! On this edition of Just One More Book! !, Mark speaks with author Pamela Edwards about how her own family experiences inspired this story of a little boy with a well meaning family, the publication process and where her desire to write comes from. Leave us a message about your favourite children’s book on our voice feedback number, 206-350-6487, and we’ll include it in a future episode. This riveting roller coaster of taunts, talent and tenterhooks relays a true story of suffering and success and invites us to examine the troubling shadow of racism and the resiliency of those who rise above it. 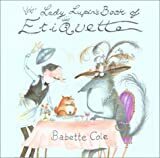 Check out the full list of non-fiction picture books nominated for the 2007 Cybils Awards here. A love of folk tales and puppetry, a drive to create and a childhood that included rewards for memorizing poems has made a natural children’s book author of Judy Sierra. Her long list of books and story collections include one of our favourites, Monster Goose, a book of mother goose poems with a beastly twist. On this edition of Just One More Book, author, poet and literary quilter Judy Sierra (on JOMB) talks about writing with a library setting in mind, the importance of read-aloud and the advantage of writing in rhyme. As an artist, he says that his work in children’s picture books is only a small part of what he does; however, because the books are for children, people may view his work as being of less value. His fine art is powerful and children’s books engaging and, at age 30, a sign of even greater things to come. On this edition of Just One More Book! !, Mark speaks with author, illustrator and artist, Oliver Jeffers about storytelling through illustration and words, connecting logic and emotion, and inspiring conversation through creative works. Oliver Jeffers’ book, The Incredible Book Eating Boy is a Finalist in the Fiction Picture Book category of the 2007 Cybils awards.